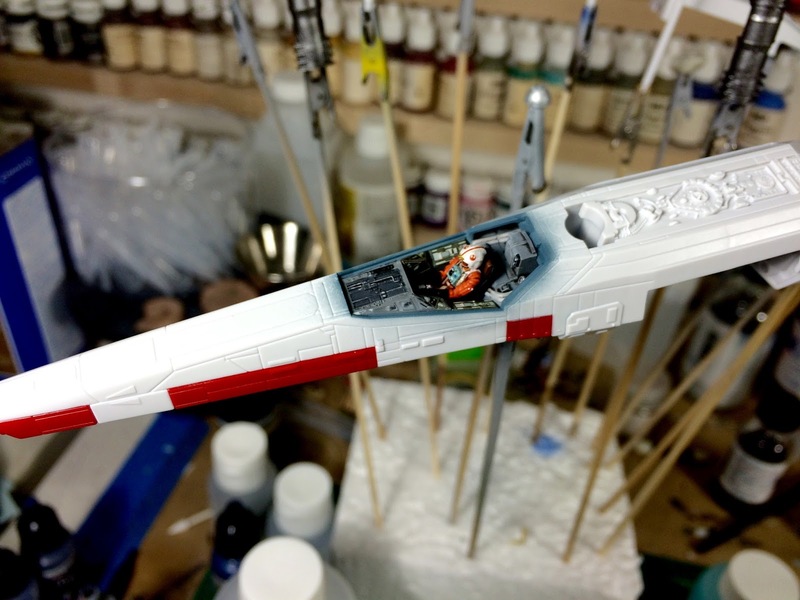 To go along with Vader and his wingmen, my client is also having Luke Skywalker's X-wing commissioned as well. 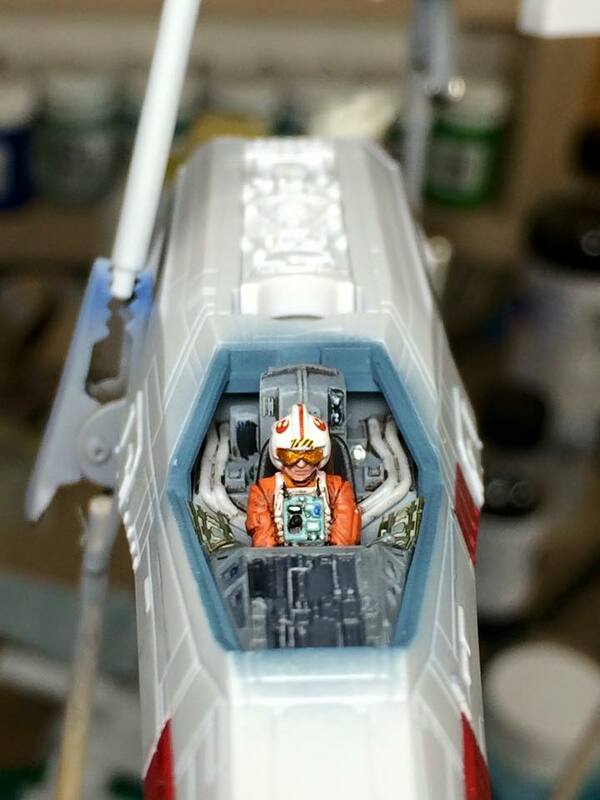 The four models will complete the iconic 'trench run' scene from the original Star Wars. After spraying the interior of the cockpit Tamiya Medium Blue (XF-18), I glued the two parts of the top of the fuselage together. The glue is entirely optional as this is a snap together kit, but it helps close any gaps along the side panels (all of the red parts and some of the white parts are individual pieces). After the glue dries for a couple of hours, I will put the canopy on and then the ship will be ready for primer. Did you Blog on any of this build prior to this post? 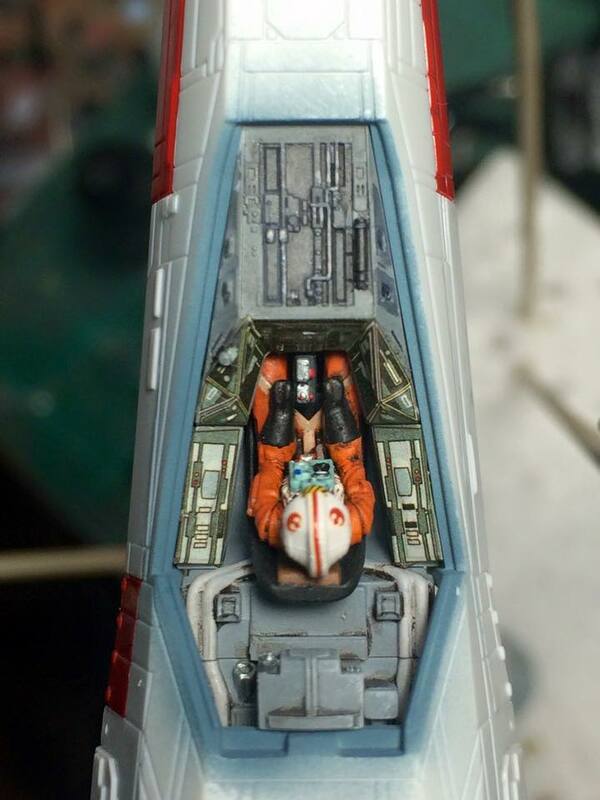 I'm curious about your cockpit work.